These sessions give a glimpse into the graceful and lyrical dance form Odissi. Appropriate for beginners and also intermediate level dancers, the classes will feature both fundamentals along with an innovative choreography that explores the techniques. The instructor strives to provide an authentic exposure to the nuances of Odissi while facilitating experiencing the dance form through movements and music. 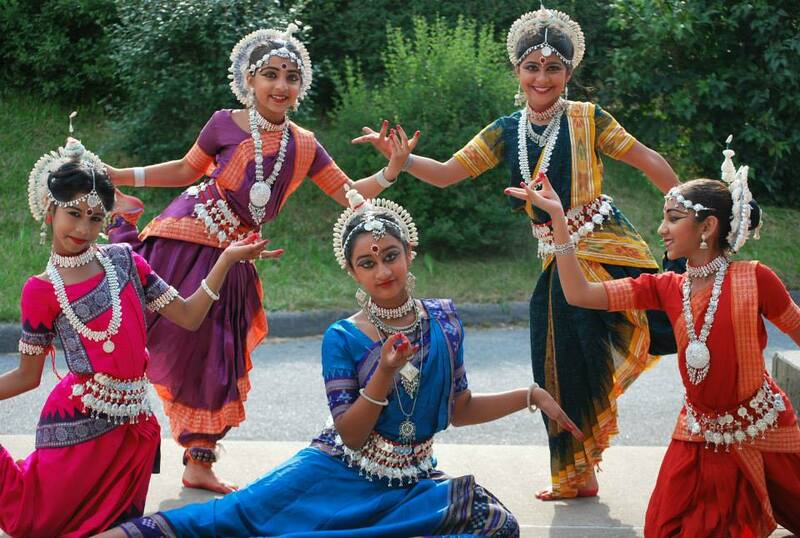 Odissi is not a dance form to entertain people but to inspire and elevate. It is an ancient, breathtakingly beautiful form of sacred dance, which was originally performed in temples as a worship ritual. Highly stylized in nature, it utilizes powerful, energetic footwork with graceful postures and movements to create an illusion of sculpture coming to life. Handed down from teacher to disciple for thousands of years, Odissi emphasizes, and in fact, centers around spirituality and devotion. Practice of this dance form rejuvenates the body, refreshes the mind and creates a positive energy. Mouli is an exponent of Odissi and intensively trained under the direct tutelage of the legendary Guru Kelucharan Mohapatra, in India. For the past 15 years she has been working to promote the dance through concerts, workshops and demonstrations. A much sought after touring artist, Mouli is regularly presented by Museums, Universities, Libraries, Schools and Cultural Institutions across United States and also in India. She is the founder and director of Upasana Odissi Inc. a Non-Profit Organization for the promotion and preservation of Odissi. Mouli has received several honors and awards including grants from NEFA- New England Foundation for the Arts and Mass Cultural Council. She was honored by Massachusetts State Senator, Jamie Eldridge for her contribution to promoting arts and culture. She is a member of International Dance Council- CID UNESCO and was invited to perform at their first congress in United States held in Florida in September 2015. An extremely dedicated teacher, Mouli gently introduces children as well as adults to the intricate dance form, gently and authentically. Academy of Creative Arts / Creative Academy, Inc. admits students of any race, color, national and ethnic origin to all the rights, privileges, programs, and activities generally accorded or made available to students at the school. It does not discriminate on the basis of race, color, national and ethnic origin in administration of its educational policies, admissions policies, scholarship and loan programs, and athletic and other school-administered programs.